Every company wants to launch a flawless product on the first release—but software bugs that cause glitches or crashes are an inevitable part of the app development process. A better approach is to provide developers with the best tools available and turn bug-hunting into a collaborative and more efficient process. Recent Visual Studio updates give developers the tools to quickly detect and fix flaws, as well as promote greater collaboration, bringing your product and teams closer to achieving their goals. Streamlined communication and increased transparency among development teams improve productivity and result in apps consumers love. In the final early release of Visual Studio 2017 version 15.6, the private preview of Visual Studio Live Share enables teams to securely share servers, simultaneously edit code, and debug products as a team post-release, increasing collaboration at each step of development. Teams can easily share their work to catch mistakes and arrive at innovative solutions as early as possible. To learn more about this and other enhancements included in this update, head over to the Visual Studio blog. Combing through code to fix bugs is an essential but time-consuming task that can hamper product development. Developers now can speed and smooth the process using hot code replacement in Visual Studio Code. The advanced debugging technique gives developers freedom to focus on new features, try new strategies, and experiment through iterative trial-and-error coding. Check out the Visual Studio blog to learn more details about this tool. Developers also need to be ready to fix unexpected bugs to prevent disruption and ensure a positive consumer experience. Collecting anonymized crash and user data equips them to lead a rapid, holistic recovery process. The Visual Studio App Center Crash Service enables support teams to trace each error back to its source through robust reporting, monitoring and analytics. The tool eases the debugging process and helps developers prioritize which errors should be resolved first. Read about why Miguel Cervantes, CTO at Payit, relies on the App Center Crash Service for his development needs. We are focused on improving our products with new tools and features that make it easier for you to do the same. 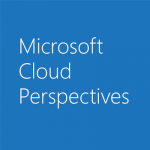 To stay up to date on the latest news about Visual Studio and Microsoft’s work in the cloud, visit https://cloudblogs.microsoft.com.